Not content with discovering Striped Legless Lizards and recording a snake-eating snake on their Strath Creek property (click HERE and HERE for the stories), Kay and Neil have found evidence of another threatened species, the Brush-tailed Phascogale (Phascogale tapoatafa). Unfortunately this time the discovery involved a dead animal. Kay and Neil’s property includes one of the sites of the Strath Creek Biodiversity Project and, after conducting a bird survey on the site, we decided to check nest-boxes installed elsewhere on the property some time ago. 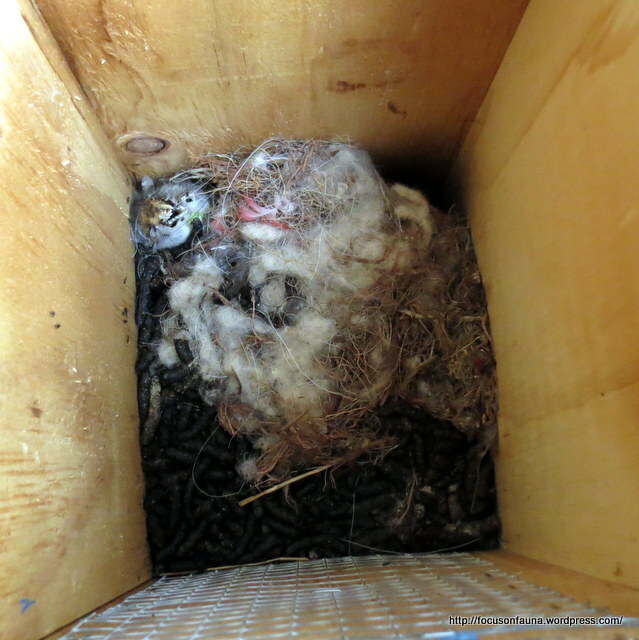 One of the boxes showed clear signs of a phascogale’s presence: wool, bark and feathers as nesting material, and lots of smelly droppings (scats) – see photo at left. There was also a skull visible in one corner of the box which we decided to remove. 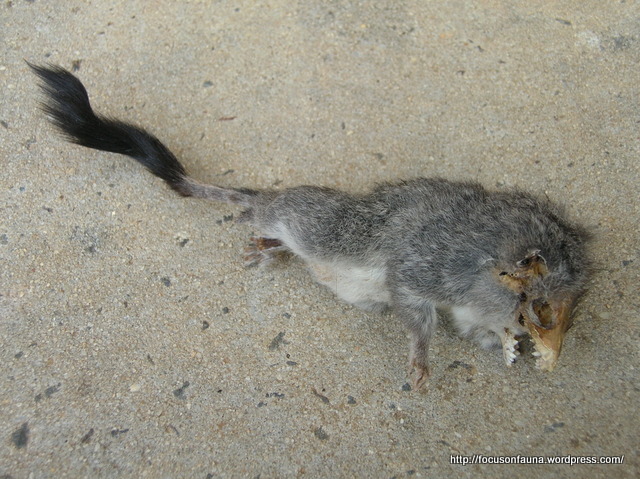 This turned out to belong to a small phascogale with a lovely brush tail and very sharp teeth! – click on the photo for a clearer look. This was presumably a juvenile from last year’s breeding, born in July or early August, making it about 7 or 8 months old, depending on when it died. The box was checked with a special nest-box camera in late January and found to be empty, so this was not the breeding site. The cause of death of the young phascogale is unknown and it is also not clear whether or not the box is still being used. The extensive revegetation undertaken on this property and a neighbouring property by the Biodiversity Project will significantly improve the habitat available for phascogales and there will hopefully be an expanded population in the future. ← Why is my fish batter moving?